I have that feeling again. That feeling of pure admiration for a beautiful piece of work combined with that faint tinkle of envy for not having thought of it myself. 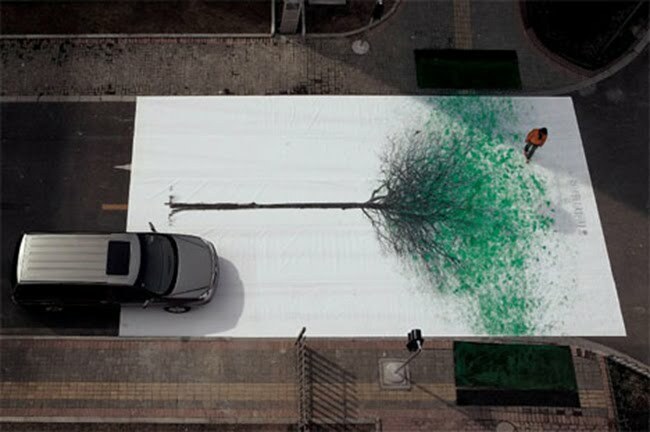 This campaign was created by DDB in China to encourage more walking, less driving -a message cleverly conveyed in this beautiful, creative, interactive artwork. 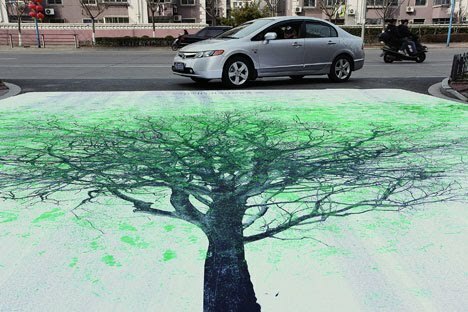 If you can't tell by looking at the photos, those green leaves are actually the footprints of pedestrians crossing the street. Genius right? For more info, or to watch the video, have a look at this link. Let your eye be filled of light so that everything you see will not be of darkness anymore.